There was a time when to connect two computers together, the only way to do that was via a piece of cable. Whilst this is still arguably the best solution in terms of security and data flow, it may not be the feasible in certain instances due to numerous factors, not least the issue of wires trailing all around the house. 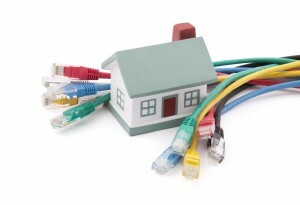 In almost all cases, we would recommend a wired connection between your PC or Mac but where that cannot be done, we can offer our expertise and knowledge to help you build a home network using other technologies such as WiFi or Bluetooth. We can carry out a no-obligation survey of your property to understand where your devices need access and provide a plan to include new hardware where necessary to maximise on your home network. In addition, we would also suggest security measures to make your home network even more secure. A common question we get asked is how to secure a home network for children, whether it be to limit what they have access to or to block their access at certain times of the day, or perhaps set up a daily quota on usage? Give us a ring to discuss your options.